First sub-£100 Blu-ray player from Richer Sounds | What Hi-Fi? 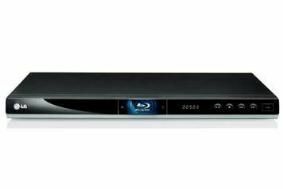 Now Richer Sounds is offering its VIP customers a big-brand Blu-ray player for £99.95, in the shape of the LG BD350. It's only available to buy in store, and our guess is stocks will be limited. But if you do bag one, it has 1080p video upscaling from standard-definition sources, optical and coaxial digital outputs, remote control and an HDMI connection. Playback of DiVX discs comes as standard, and the Blu-ray disc load time is claimed to be a relatively snappy 18 seconds. Richer says it has some Region 2 (UK) only models of the LG BD350 in stock, but a more plentiful supply of multi-region units, which cost £119.95. The latter will play DVDs from any region in the world (but only UK Blu-ray discs).